install the ReCaptcha system to protect data from Internet-bots. 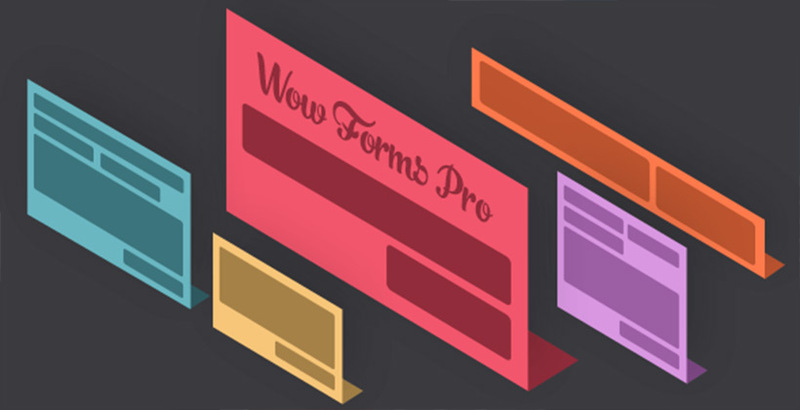 Feedback forms for WordPress Wow Forms can be flexibly configured to your site’s template in the built-in editor. In addition to the content filling, you set yourself the style, width of the fields, add titles and placeholders for the user. If you’ve got used to import information about new users into lists manually – plugin supports data export function in formats * .csv and * .xlsx. an individual e-mail address, on which will be sent information from the forms. Use additional options to indicate text when user enters the error date and set up the message after transfer information to the server. This form is by far the easiest to work with and does exactly what I need! I really like this forms, not only because they’re very useful and easy to set up, but because they perfectly match flat themes and looks great in other designs! Highly customizable! I use it very useful.